It supports 2G /3G network. Make phone calls and 3G data internet, dual sim card slots. 2G: GSM 850/900/1800/1900 MHz; 3G: WCDMA 2100/850/1900 MHz. Tablet PC/Phablet. You can use sim adapter if you use nano or micro sim. UNWANTED GIFT - STILL IN PLASTIC WRAP. Boxed Archos 80C Xenon Tablet. All accessories. ● OTG Function--connect external devices, external app download like stickmount required, as otg not built in. Disk,mouse,keyboard,USB Hub,etc. ● 10.1” 1280x800 TFT-LCD Screen,G P Touch Panel--clear display and colorful demonstration appear at every corner on the tablet. Lenovo Tab 7 Essential 7 in 1 GB 16GB 3G Wi-Fi Android Tablet Black. Dispatched with Royal Mail 2nd Class. 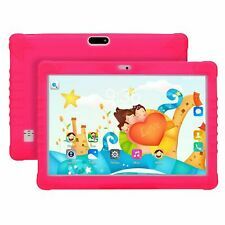 XGODY 10.1''INCH ANDROID 6.0 TABLET PC QUAD CORE 16GB 3G DUAL SIM 2.5D SCREEN HD. Condition is Used. Dispatched with Royal Mail 1st Class. Has a crack on screen as shown in photos. Haven't been able to clear the memory as computers ain't my bag. Password given upon purchase and the buyer can delete the data. All working a good tablet I don't use it hence the sale. Charger included. Sold as seen. No returns. Relisted due to a time waster. It supports 2G /3G network to make phone calls and 3G data internet, Dual Sim Cards. 2G: GSM 850/900/1800/1900 MHz; 3G: WCDMA 2100/850/1900 MHz. Hard Drive Capacity: 16GB. UK WARRANTY AND UK SERVICE CENTRE. Android 6.0.X Marshmallow. 2 Stanard Sim Card Slot. USB HOST 2.0 high speed interface (Micro),Support Extra Hard Disk, Ethernet, 3G Dongle and other peripherals. 1 x Tablet PC. 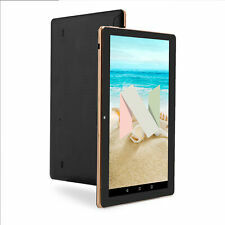 Tablet Weight TB02(100% NEW). 2 Standard Sim Card Slot. WiFi : Wi-Fi 802.11 b/g/n. Data Interface : USB HOST 2.0 high speed interface (Micro),Support Extra Hard Disk, Ethernet, 3G Dongle and other peripherals. Band : 3G:(WCDMA 850MHz/1900MHz/2100MHz). Unlocked Samsung Galaxy Note GT-N8000 16GB. Tablet Phone Wi-Fi 3G ,10.1" Display. Insert the SIM card and you are ready to receive and make Phone Calls. Samsung Galaxy Note GT N8000 in black. 16gb storage, expandable with SD card ( upto 64GB, not included ). WiFi, 3G/4G and Bluetooth and Infra Red. Quad Core 1.4ghz Cortex A9 processor. higher spec than the Galaxy Tab 4 530/533. WiFi : Wi-Fi 802.11 b/g/n. Data Interface : USB HOST 2.0 high speed interface (Micro),Support Extra Hard Disk, Ethernet, 3G Dongle and other peripherals. Band : 3G:(WCDMA 850MHz/1900MHz/2100MHz). Tablet Weight : 720g. It supports 2G /3G network. Make phone calls and 3G data internet, dual sim card slots. 2G: GSM 850/900/1800/1900 MHz; 3G: WCDMA 2100/850/1900 MHz. Tablet PC/Phablet. 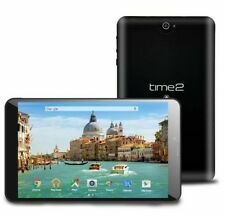 This phablet tablet makes both 2G and 3G calls (not many do) with two/ double sims. So you can use the tablet, with your phone sim credit anywhere or connect to public WIFI for browsing or calls. Tablet / Phablet Battery life. Model: SmartPad i10 3G. Processor : Quad Core 1.3GHz. Connectivity: Wi-Fi 3G Bluetooth 4.0. All are in perfect working condition. Storage: 16 GB. Factory Sealed with English Firmware and 2 Yr Warranty! Product Range: MultiPad Wize. Features Dual SIM support; stay connected wherever you are with 3G and optimise your call and data budget. Hard Drive Capacity: 16GB. Quad core MTK8321 1.3GHz processor. Or use as a tablet with wifi. Yet ours its almost half price of theirs. ● WIFI & 3G Internet--support 802.11b/g/n wireless,external USB 3G dongle of EVDO/WCDMA. ● Dual SIM Card--band GSM 850/900/1800/1900MHz WCDMA 2100,double choice of call,one for work and another. Ibowin M130 10.1" Tablet, Quad Core, WiFi & 3G, Bluetooth, 16GB Rom, 1GB Ram, Android 4.4.2. New item in opened box with the contents checked and tablet tested. 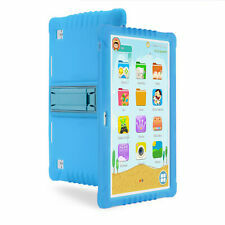 Ainol Numy 3G AX3 Tablet, Quad Core, 1GB Ram, 16Gb, Android 4.2, GPS, Dual Sim. Android 6.0.X Marshmallow. 3G:(WCDMA 2100MHz). USB HOST 2.0 high speed interface (Micro),Support Extra Hard Disk, Ethernet, 3G Dongle and other peripherals. 1 x Tablet PC. Built-in Microphone. Tablet Weight .